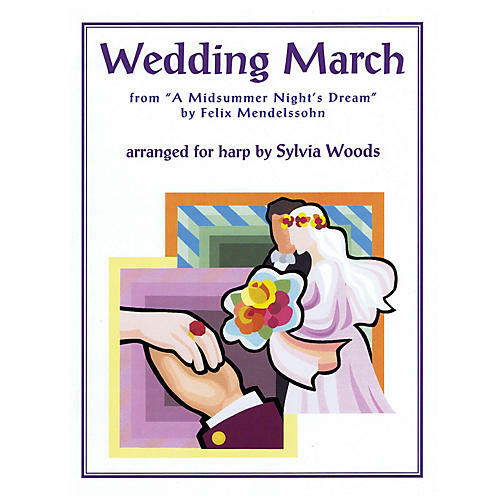 Felix Mendelssohn composed the Wedding March in 1842 as a part of his suite for Shakespeare's play A Midsummer Night's Dream. It is most commonly played as a wedding recessional. This sheet music includes two harp arrangements. The first is for intermediate to advanced lever harp players, or pedal harpists. The second is a bit easier. It can be played on small harps with 22 or more strings, from C to C.